Treibball is an exciting new dog sport that began in Germany a few years ago and was initially intended for herding dogs that needed a job. The sport is suitable for all types of dogs. The goal is for the person and the dog to work as a team. 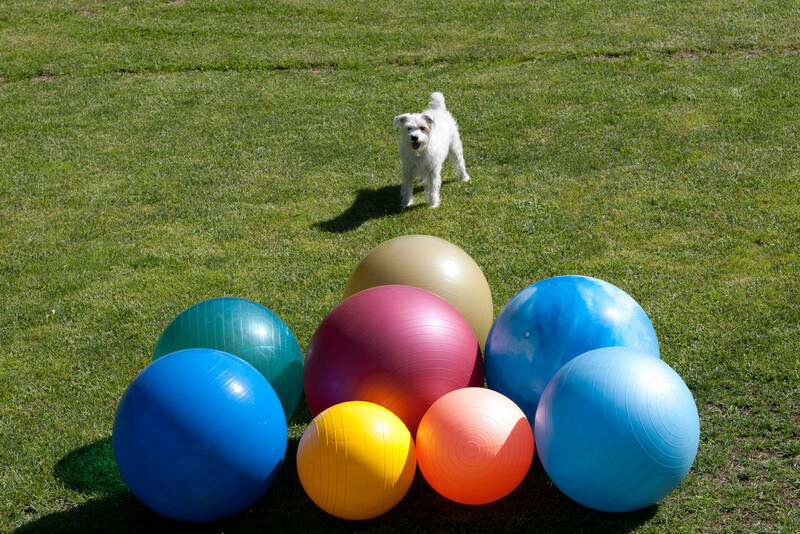 The handler directs the dog from a distance around a set of balls to push them into a goal one by one. In competition the dog's work is timed. Distance, time, and the number of balls are some of the variables in the game. Is there one way to train Treibball? There are as many different methods of training dogs successfully as there are dog/handler combinations. NATE supports and encourages the use of reward-based training. NATE discourages coercive, punitive, intimidating or forcible training techniques. Handlers who use abusive methods in competition will be eliminated. Reward-based, force-free training is the dog-friendly way to get fast and reliable distance behaviors to set your dog up for success. Where can I find Treibball trainers? 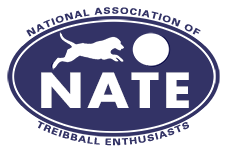 NATE's Trainer Locator has a list of training facilities that offer training classes. NATE's Skills Certification Program offers a breakdown of Treibball skills, helps you organize your trianing and gives you a fun way to mark your achievements. NATE Members have access to a growing library of Training Resources.